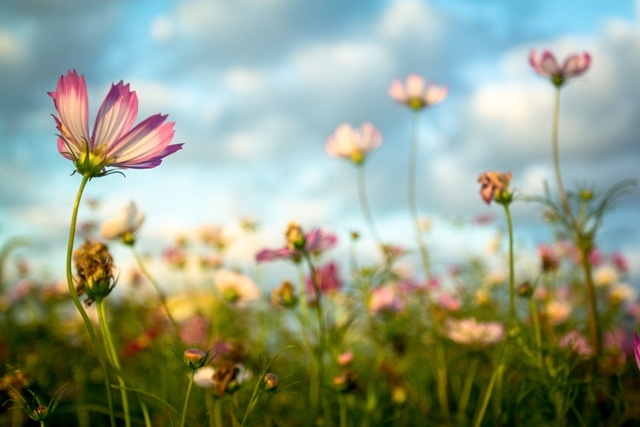 Spring flower photo tipsTips and tricks to get the most out of your spring flower photos. Spring has officially arrived - I’ve swapped my t-shirts with my sweaters in the wardrobe. That’s the indoor sign of my favorite season’s arrival, but what really signals the start of spring on Jeju for me is the cherry blossoms peaking out of their buds on a temperate sunny afternoon in late March. 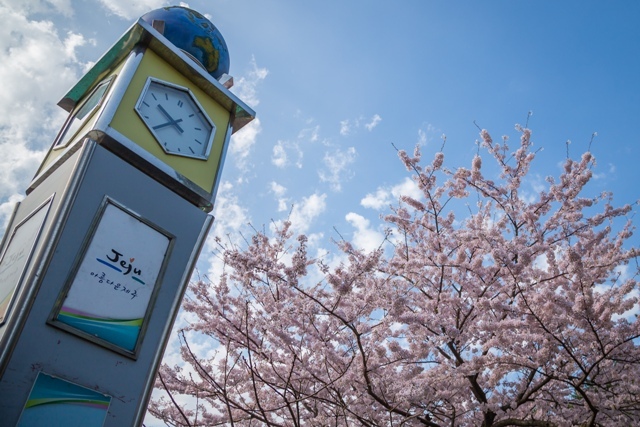 Soon, many streets, parks, and areas all over the island will be filled with the enchanting white of cherry blossoms in bloom, and at every tree, there will be ten tourists or locals with a cell phone or camera on a stick snapping selfies underneath them. 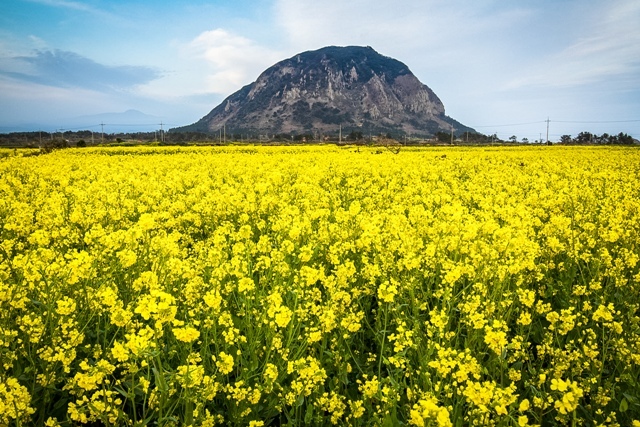 Whether you’re a cell phone selfie-snapper, a casual compact camera user, or an aspiring DSLR hobbyist, there are plenty of chances to photograph beautiful flowers in the spring here on Jeju. Cherry blossoms are one of the more difficult flowers to photograph simply because of their evanescence - their full bloom lasts only a day or so before the seasonal spring winds blow their petals onto the ground like faintly falling snow. 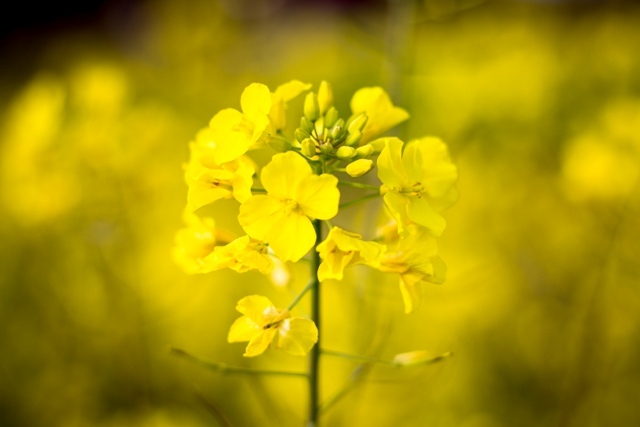 There’s also the ubiquitous yellows of canola flowers and the bright green fields of barley which stick around for most of the season. Also, if you’re eager to work for your photos, early pink azaleas dot the higher altitudes in Hallasan National Park. With the change in weather and the numerous photogenic places and appealing spring flower festivals on the island, there’s no excuse to not be outside with family or friends enjoying the sunshine and taking photos to remember the occasion. I’m no flower photography expert but I do love the vibrant colors and compositional options that flowers bring to the table. I’ve captured some decent flower shots in the past while in Jeju, but each year I aim to best my previous crop of shots. Here are some tips that have worked for me which may help to improve your photos of flowers this spring on Jeju. 1. Interesting angles - In general, we are looking down at flowers when we see them. Thus, if you take a photo of a flower from an angle that is looking down, you’re taking a very general photo. To take more flattering and interesting shots of flowers (and other vertically-challenged subjects like children and pets), get down on their level. 2. Fill the frame - If you’re taking a photo of a flower or a group of flowers, fill the entire frame with just the flowers. Get really close, choose just one flower to focus on, and fill the frame. This makes for much more pleasing shots. 3. Use a shallow depth of field - Put your camera on the A mode (Aperture Priority) and open up the lens to your lowest f/stop (ex. f/2.0, f/3.5, f/4.0). This allows the camera to take in more light (thus speeding up the shutter speed), and it means there is a shallower depth of field, which allows for nice blurry backgrounds. 4. Use flowers as a foreground - A good landscape shot generally has three layers to it - foreground, middle ground and background. Flowers are usually great for adding color and interest in the foreground layer. Add a mountain or oreum for the middle layer and take the shot near sunrise or sunset and you’ll have a great background. Don’t forget to stop down to f/8 to get everything in the shot in focus! 5. Remove background clutter - before I take any nature or landscape image, I check around the frame to make sure there are no distracting objects in sight (ex. trash, electrical wires, random people, etc). Nothing ruins a photo quicker than a distraction more prominent than the subject. 6. 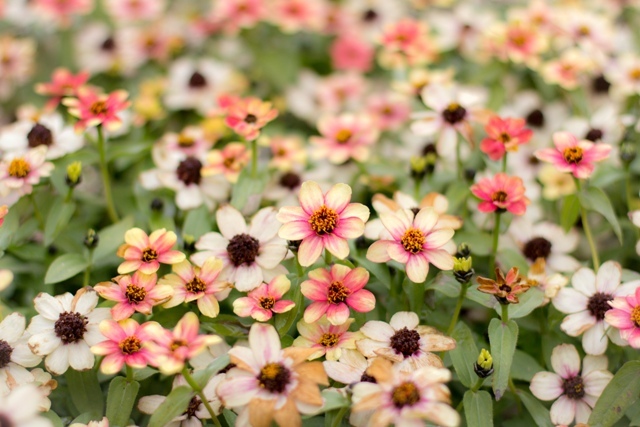 Use a tripod - If you really want to get super sharp images of flowers, you should use a tripod. This is especially true if you are shooting at sunrise or sunset (the best times to shoot) and if you’re taking a landscape shot with flowers. 7. Edit your photos - Use the editing program in Instagram or download Snapseed or Pixlr from the App store and do some simple editing on your photos before you post them. You can brighten exposure, increase contrast and shadows, crop to remove distractions, use vignetting and sharpen to make your shots pop. Also, try Adobe Lightroom or Photoshop if want to take the next step in editing. 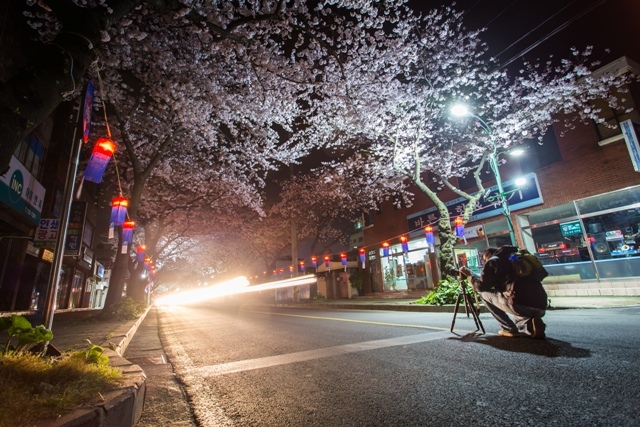 There you have it, seven tips to hopefully help you take better shots of flowers this spring in Jeju. 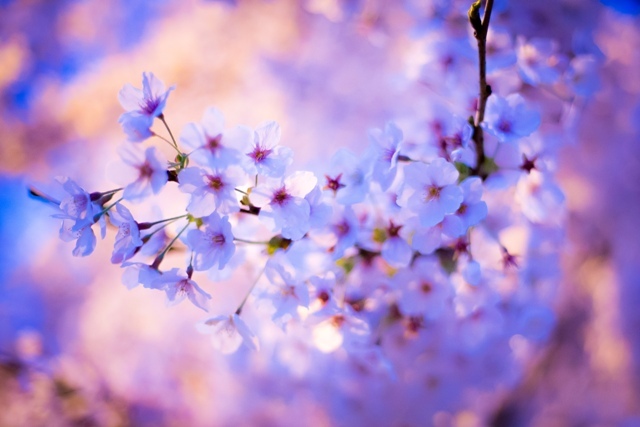 Now pack away those sweaters, put on your favorite t-shirt, grab your camera, get out in the fresh air and take some magical spring flower photos! About: Eric is a freelance photographer living in Jeju with his wife and daughter. He specialises in photographing pre-weddings, couples, and events, but enjoys all styles of photography including nature, landscape, and photojournalism. Check out his website at www.erichevesyphotograpy.com and follow his Facebook page at Eric Hevesy Photography.